Any of you or your closed friends tying the knot soon ? It’s the offical last night out with the ladies and BFFs so let’s do it with a blast! Book a party bus with MaxiCABooking SG for a private bachelorette party onboard and be driven around Singapore. Whatever themes is chosen on that night, getting a Bachelorette party bus Singapore is definitely the best choice as the icing to top the cake. Love to sing? We also have our karaoke party buses! These party buses are equipped with big screen TV and karaoke system for you to enjoy the whole experience. Having the bus privately to yourself, you can sing your heart out with your BFFs in your bachelorette night with no one to judge! You can even do a sing off with your BFFs and create dares for the person who loses, hopefully the bride to be! 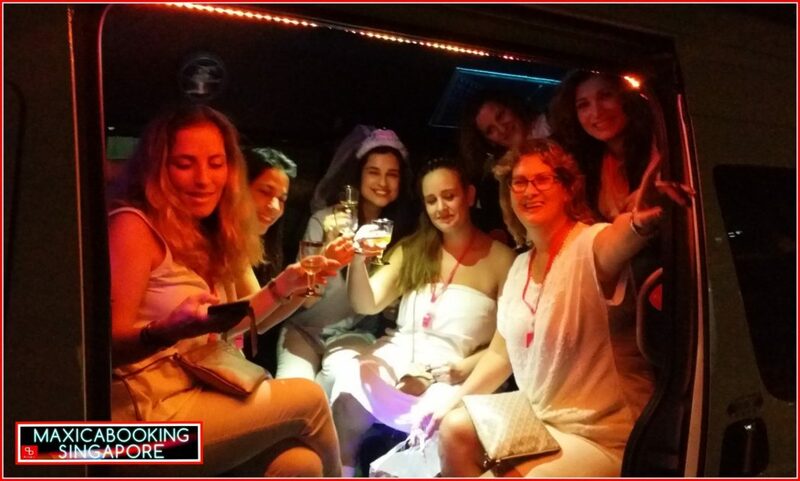 This entry was posted in Party BUS and tagged bachelorette party bus, hen's party bus, hen's party in a bus, party bus for hens party, party van for bachelorette party. Bookmark the permalink.